The Apple Touch ID is simply a fingerprint sensor, similar to that found on some Android mobile models. Its primary function is to lock and unlock a handset but it can also be used for limiting access to apps and other functions. It is even possible to pay for purchases made at the Apple store using this touch sensor along with entering the password. 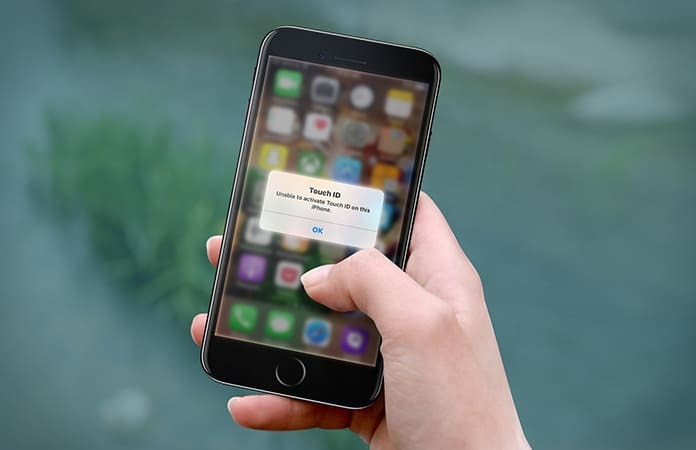 However, despite all these important functions that the touch sensor carries out, some users may be faced with the unable to activate Touch ID on this iPhone problem. This can easily become an annoyance, especially because it is expected that Apple creates the sturdiest and most efficient touch sensors. However, it is possible that because of screen replacement or a guard change the Touch ID will refuse to work properly. Here, we will take a look at how to get your Touch ID working again. First, it’s important to understand how it works. 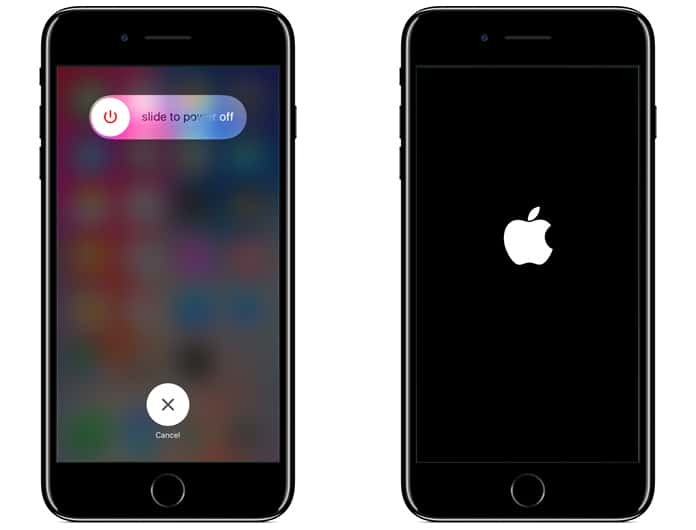 In case your iPhone’s home button isn’t working there are some steps that you should follow. What the Touch ID does is that when a finger or thumb is placed on the sensor it analyzes the fingerprint and if the pattern matches the stored pattern then sit unlocks after authentication. If it doesn’t match, then the user is taken to a screen where they must enter the password to access the device. At the end of the day, the iPhone is just a piece of electronic machinery and can be susceptible to malfunctioning from time to time. As users of such devices we should be aware of ways to resolve any issues that may arise and in this article this is exactly what we will do. The Touch ID is said to work using High Resolution Image Capture software. After placing your finger on the sensor, an image is sent to a mathematical representation that the UI understands. If both codes match up then the device unlocks, otherwise it won’t. In such a case manual unlocking is the only option. Here, we will take a look at how to resolve the unable to activate Touch ID on this iPhone error. 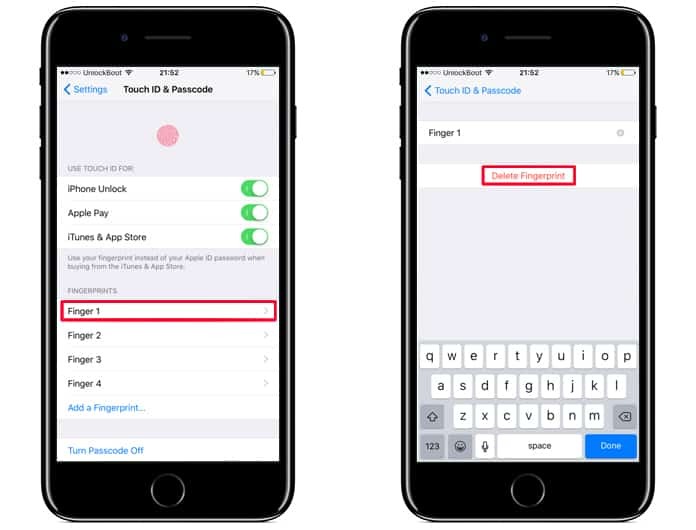 There are just a few simple steps to be followed to successfully activate Touch ID. There might be an issue that arises because you did not activate Touch ID as it should have been. After these steps are carefully followed it is just a simple matter to fix the Touch ID issue. Go to Settings -> Touch ID & Passcode -> Enter your Passcode. Turn off the iTunes app store and reboot your iPhone or iPad. Go to Settings again and toggle on the iTunes and App store. Now, it will be possible to add a fingerprint and delete the existing one. To remove the existing fingerprint, simply tap on it and select the delete button. All you need to do after this is add your new touch fingerprint. Ensure that the finger is clean and dry and place it from two to three angles so that there is no problem when unlocking your device. Restart your device or computer once. 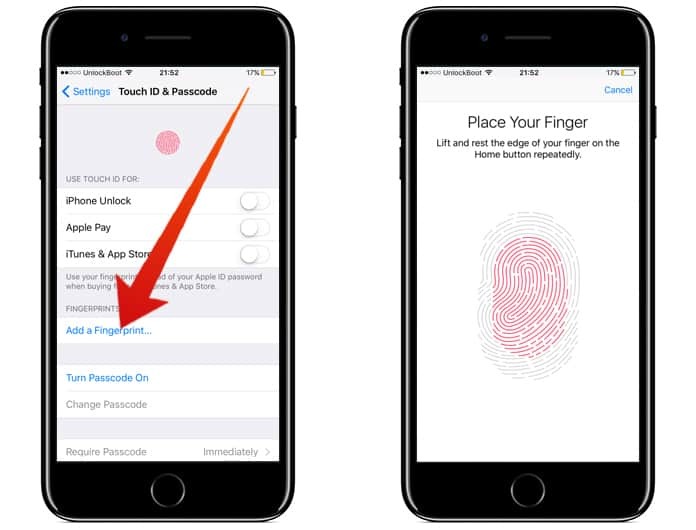 You will now be able to see your Touch ID in action. In case the problem doesn’t resolve itself repeat the above process again carefully or create a backup of your iTunes data and restore to factory settings. In case the above steps don’t fix the unable to activate Touch ID on this iPhone problem don’t worry. 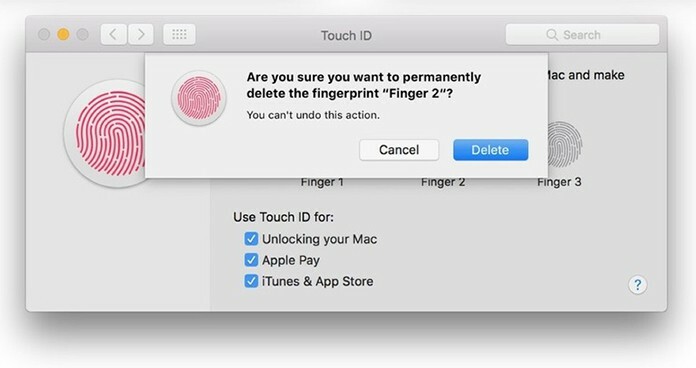 You may have to reset your Touch ID account. This is a step to follow in case your iPhone Touch ID stops working. You just have to remove the current fingerprint and add a new fingerprint similar to how we did so earlier. It is possible that the previous fingerprint was causing issues with authentication so in this case, it is better to just wipe the slate clean and enter a new Touch ID fingerprint. Go to the Apple Menu icon in the upper left corner of the screen. Go to the Touch ID preference window. While keeping the cursor over the fingerprint icon that you want to be deleted you should see a cross in the upper left corner, click on it. After the password has been entered you will be given a prompt to confirm the deletion. Give confirmation. Tap on the sleep or wake button and hold it down for a short time interval until the power off slide message appears. Swipe to the right and wait for a few minutes. Turn it back on after a significant time interval by pressing the sleep/wake button till the Apple logo appears. This should be enough to be able to resolve the unable to activate Touch ID on this iPhone problem. With the iPhone getting a complete refresh and restart, the problem shouldn’t be a problem at all. When all is said and done it really isn’t that hard to resolve this issue. These two above mentioned methods should be more than sufficient to fix any problems with the Touch ID. In case one of these techniques doesn’t work the other one is bound to so please remember to try both of them out! Please do let us know what you think and let us know if you have any additional help or suggestions to offer in the comments section below.